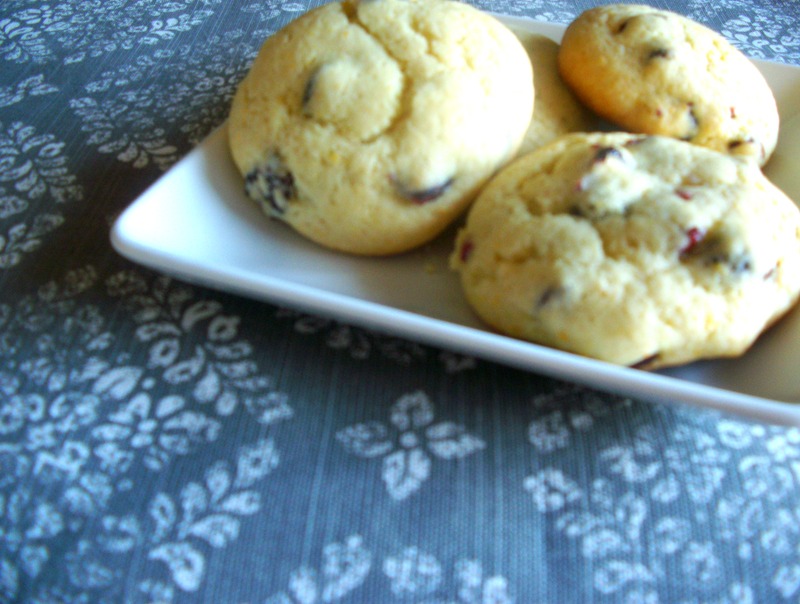 Kristin posted a recipe for Blueberry Muffin Top Cookies a couple of months ago and it’s been on my mind ever since. I’m not sure why I didn’t just go right out and buy the stuff I needed at the time but I realized this past Wednesday that I had all of the ingredients on hand to make my own version. I only had Craisins on hand but I think fresh cranberries or even frozen, then thawed, cranberries would be better. 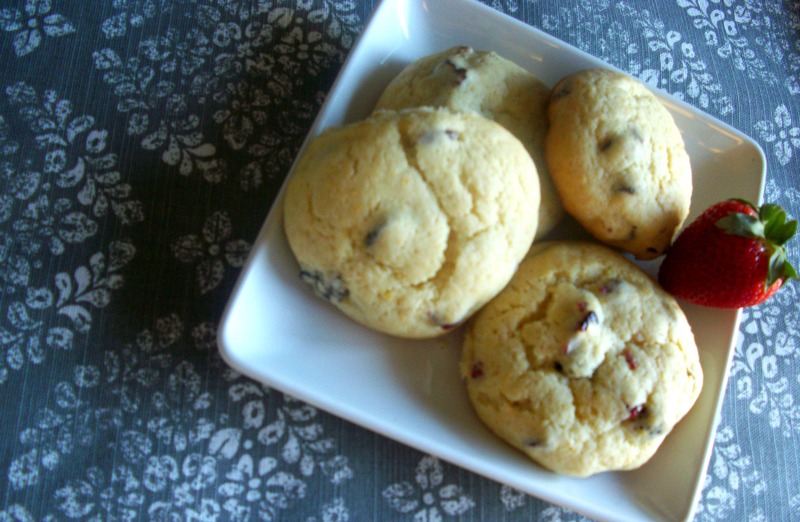 I think it would help to somewhat “infuse” the cranberry flavor throughout the cookie. 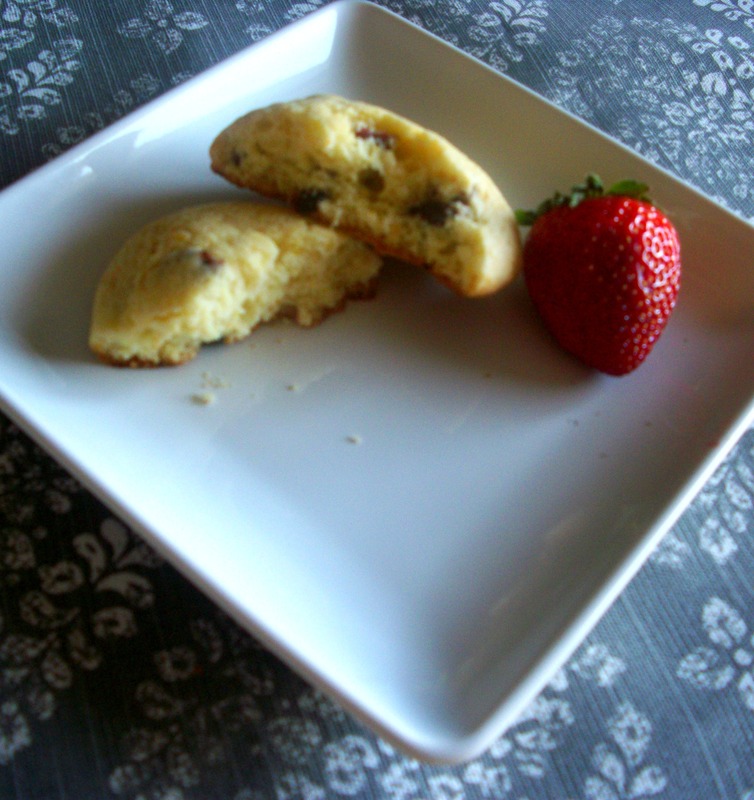 This recipe only made 11 cookies so next time I might make them slightly smaller & get a little more bang for the muffin top buck! 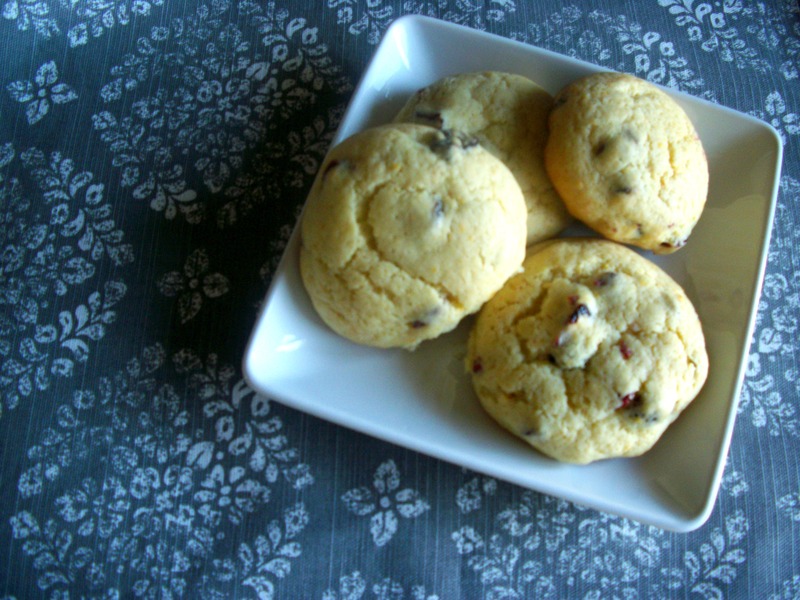 These cookies are soft, sweet & pillowy, just like the best part of a muffin…the top! 1. Preheat oven to 375 degrees. Combine flour, baking powder, and salt in a bowl, set aside. 2. Cream together butter and sugar in bowl of electric mixer until combined. Add in egg and beat until combined. Add milk, almond extract, orange juice and orange zest then beat until combined. 3. Slowly add dry ingredients into the wet ingredients, and mix until combined. Gently fold in cranberries. 4. Refrigerate the dough for at least one hour, then shape into large balls. Bake 6 to a baking sheet for 13-15 minutes, or until slightly golden brown on the bottom, and set on top. Do not overbake. Let cool on the baking sheet for 5 minutes, then transfer to a cooling rack to cool all the way. Yes, cranberry & orange is one of my favorite flavor combos. These cookies are super tasty! 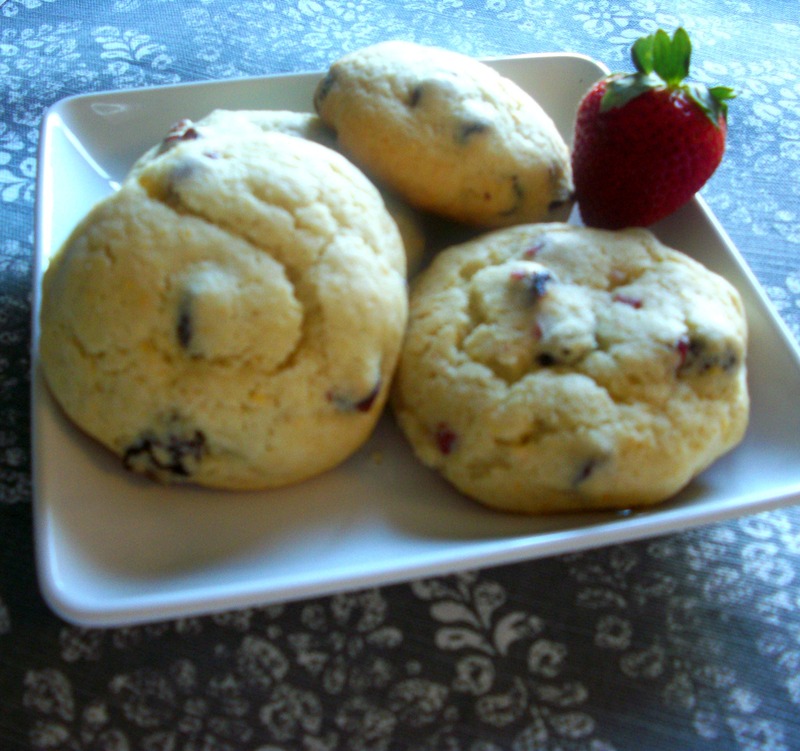 I`m going to try these, I hope they are as soft and moist like Kroger cookies. We don’t have Kroger around here so I’m not familiar but these cookies are like pillowy clouds! Enjoy! Hi Diana – I too have longed search for a recipe similar to Kroger’s muffin cookies. This is a very close match. The crumb was a little bit finer and while wonderfully soft they didn’t have quite the same chew as the Kroger cookie. Next time I’ll try with either a veg or coconut oil to see if that gets closer to the texture. This is a wonderful recipe. I did end up using a bit more oj and also added 1/2 tsp of vanilla and I chop up the craisins and under bake by 30-60 sec. I think coconut oil would really help! Back when I initially tried this recipe I wasn’t yet aware of all of coconut oil’s amazing abilities!